Sydney Tango website is best known for its calendar of Sydney tango events and online community forums. You can access the calendar to view all Sydney events. Tango Social Club of Canberra is Synergy’s sister organisation in the ACT. Also a not for profit group organising events for Canberra tangueros. Melbourne Practica Group (MPG). 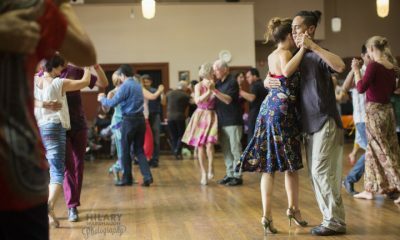 This page links to all of Melbourne’s very active tango scene. The Tango Café in Hobart Tasmania. A small but enthusiastic group of dancers who meet on most Sundays from 4.00pm at the Republic Bar & Café, North Hobart. Tango Nut is an independently run website for South Queensland tango. The calendar covers the greater Brisbane area, including Gold Coast, Byron Bay. Cairns, Far North Queensland. You can dance in these warmer climes. Perth Tango Club – An independent association of Tango dancers in Perth, W.A. Tango Adelaide is an independent tango club which is not aligned with any tango school in Adelaide.